Flashing is the metal or vinyl edging that is placed along roof intersections, dormers, chimneys, vent pipes and edges of the roof. It helps guide water away from roof joints and toward gutters. Most flashing is made of galvanized steel or aluminum. Galvanized steel is inexpensive but needs occasional painting to prevent rusting. 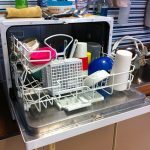 Aluminum is moderately priced and naturally resistant to decay. Copper flashing is often used on slate or tile roofs. The most expensive, copper flashing also lasts the longest. Galvanized gutters are strong and inexpensive, although they can rust. Gutters are the metal channels that are attached to the roof edges and used to draw water down and away from the house and its foundation. Most gutters consist of gutter sections, drop outlets and downspouts. 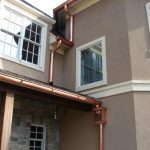 Gutters can be constructed of aluminum, galvanized steel, vinyl, wood or copper. Ice dams are formed when heat from the attic melts snow at the ridge or peak of the roof causing an “avalanche” of snow and ice to overflow the gutters. The melted water can then back up under the shingles and work its way into the house. 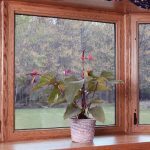 PVC, or vinyl, is a tough, maintenance-free, moderately priced material popular with newer installations. 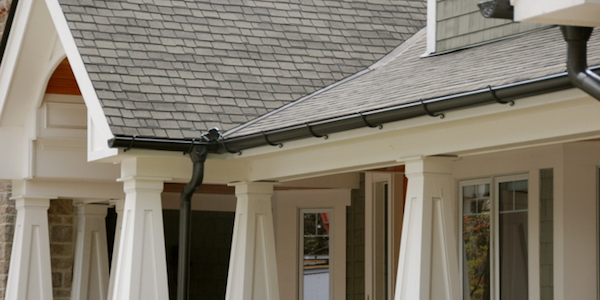 Vinyl gutter systems are favored by some because they are lightweight and can be easily snapped or glued together. 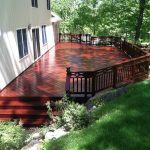 However, vinyl gutters are not recommended for hot, sunny climates where they tend to become brittle, crack and fail quickly. 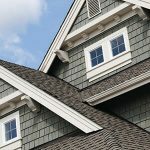 A ridge vent is a special vent that sits along the top ridge of your roof. Like other vents, it allows your attic to breathe, but it sits underneath the roofing material, making it less visible than standard vents. Ridge vents help to prevent ice dams and improper snow melt off. 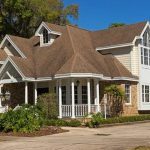 Roofing felt is the protective layer that sits between the roof sheathing and the shingles. 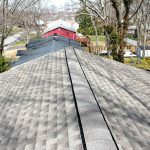 Roof pitch and roof slope are two terms that are often used interchangeably, but they actually mean different things. Slope is described in inches of vertical rise per foot of horizontal run. For example, a gently sloped roof that rises 4 inches for every 12 inches of house covering is said to have a 4-in-12 slope. Roof pitch is expressed as a fraction, the ration of rise to the total span of the entire roof. The same gentle 4-in-12 slope translates into a 1:6 pitch. A roof’s surface is the area on which all the roofing material sits. 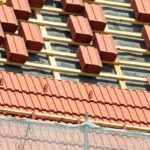 Roofing surfaces can be made of a variety of materials. The most common material in the U.S. is plywood with a covering of sheathing, felt and roofing shingles. About 80% of homes in the U.S. have asphalt shingle roofs. 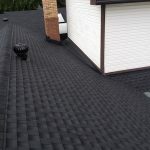 These are constructed of 12 x 36 inch sections that look like individual shingles when installed. Soffits are vents under the roof overhang that allow your attic to breathe. Similar to gutters, a water diverter is a piece of metal that helps to control the flow of water as it drains from the roof.